It’s almost a wrap on endless summer weekends, but the physical effects of frolicking in the sun, sand and surf can stick with you for a while. Just run your hands through your hair and you can probably feel a difference already: All that exposure to the elements has probably left your strands a bit parched, frayed and lacking in Valencia-filter-like shine. Fortunately the situation is easy to remedy with a post-summer hair rehab. 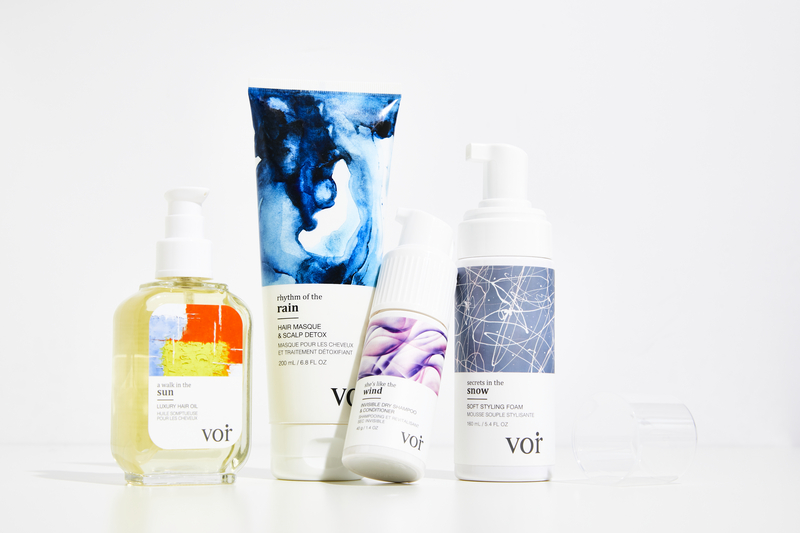 For deeply replenishing solutions, look no further than our latest arrival, Voir. Inspired by the natural cycle of the seasons, the Toronto-based hair-care brand taps into high-grade ingredients, cold-pressed plant oils, botanical extracts and super berries to heal strands. The tightly edited, four-piece line includes all the basics you need—from nourishing hair oils to detoxifying scalp masks — with the kind of light, airy textures that will make you want to use the elixirs year-round. 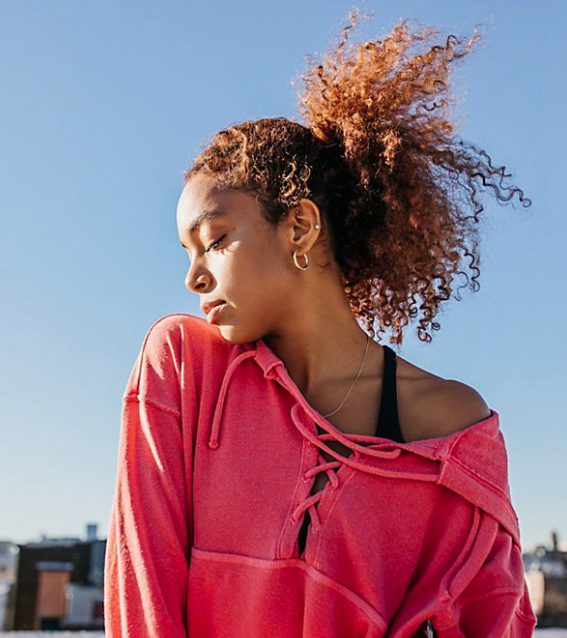 Here, a quick guide for how to put these essentials in your routine — so you can head into fall with healthy, thick strands. Step 1: Rid buildup and repair your scalp. Healthy hair most definitely starts with a healthy scalp — so you’ll want to get rid of any residue and film left over from sunscreen and sweat while also replacing all the moisture you lost from the sun beating down on your head. The Rhythm of the Rain weekly hair mask does all of the above, with a mix of natural butters, oils and extracts. You can apply the creamy mask after shampooing in place of conditioner — or for a deeper treatment — work it through damp hair and wrap in a towel for 20 minutes. Step 2: Seal in moisture. Go for the hydrating (but not greasy) Walk in the Sun hair oil — the blend of rosehip, avocado and jojoba oils sinks in quickly to help repair everything from split ends, frizz and sun-streaked strands that have now turned dry and brittle. Bonus: it also works as a detangler or pre-shampoo treatment (just massage it in before lathering up for extra shine). When your hair is already worn-out, you don’t want to strip it by shampooing too often. Instead, stick to every other day or longer. To fend off greasiness reach for She’s Like the Wind dry shampoo — not only does this micro-powder mop up excess oil, it also leaves strands silky soft. Step 4: Get beachy hair the healthy way. Letting the salty breezes whip through your strands might give you authentic beach waves but it’s still pretty punishing on your hair. An alternative: Secrets in the Snow styling foam, an innovative mousse that tames frizz and builds natural texture with a restorative mix of marula seed oil and bamboo extract (plus a dreamy pear-jasmine scent). + Click here to shop the full Voir collection. Got any other post-summer hair rehab secrets? Share with us in the comments below! I’ve got to try out some of these products! Been travelling a little too much lately! Interesting, would love to try these products! You can search for a signature connect to your emails. So the chances of climbing up the rankings to the very top does seem to be very low. That is the harsh evolutionary straightforward fact. If you’re would to be able to know, why wouldn’t prospects want understand?